I am so so excited about today’s blog post. I have been planning to write this post for the past one month but I wanted to test this serum completely before sharing it with you guys. 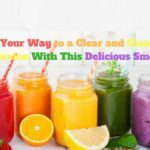 So here I am with this amazing DIY Vitamin C serum that is going to remove the signs of aging form your face and is going to give you youthful, bright and rejuvenated skin. I am in my early 30’s and it is high time that I start taking good care of my skin to delay the signs of aging. For the past 6 months I have limited the use of commercial skin care products on my skin because of the high presence of chemicals in them. I have been using natural skin care products and the effects are showing on my skin. The best part about natural skin care products is that you can curate them according to your skin type and secondly that you actually know what’s going on your skin and you can be rest assured that everything is 100% natural and free of harmful chemicals. I have been using a natural face and body cleanser for the past 2 months and it has made my skin so soft and clear, will be sharing the recipe of that cleanser very soon with all of you. As we age, our collagen production slows down a bit causing fine lines and wrinkles but not only that, all of the cumulative damage that we’ ve done to our skin over the years, including sun damage, pollution, harsh chemical products can speed up the aging process and make things worse. 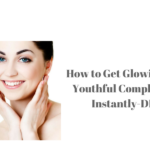 Last month I can across a blog post on Pinterest in which I read how Vitamin C can reverse signs of aging and make our skin youthful again, I was intrigued by the idea and researched a lot on the positive effects of Vitamin C on our skin and came across some very vital information. Very few ingredients in skin care have as much solid evidence of their effectiveness as Vitamin C. Application of Vitamin C to the skin is 20 times more effective than taking it internally. Vitamin C is proven to enhance collagen production thereby reducing the appearance of wrinkles and tighten loose and sagging skin. 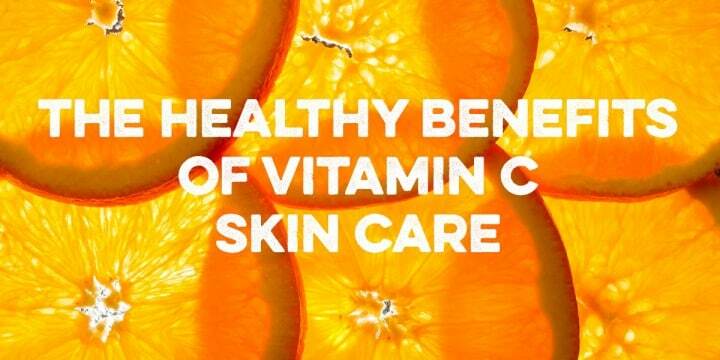 Vitamin C is a powerful antioxidant that is effective at healing sun damage caused by exposure to UV rays. Strengthens the skin’s barrier response. 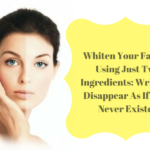 Reduces hyper pigmentation and sunspots. 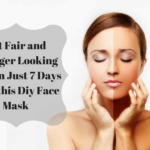 This is a very effective skin serum and the results will leave you amazed. 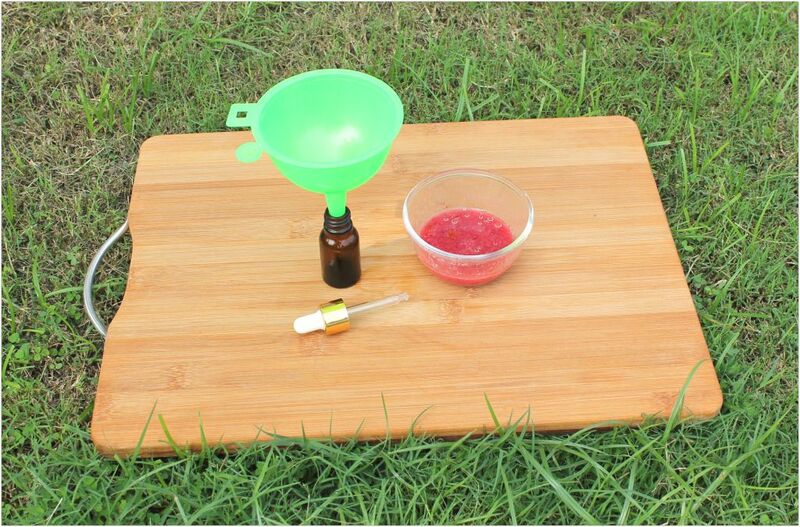 There are some different ingredients that have been used in this serum. Serums that are available in the market are very costly so I decided to make this serum which is equally effective and it costs just a few dimes. I found the recipe of this Vitamin C serum on Pinterest but I added a few more ingredients to it to make it a bit more effective. 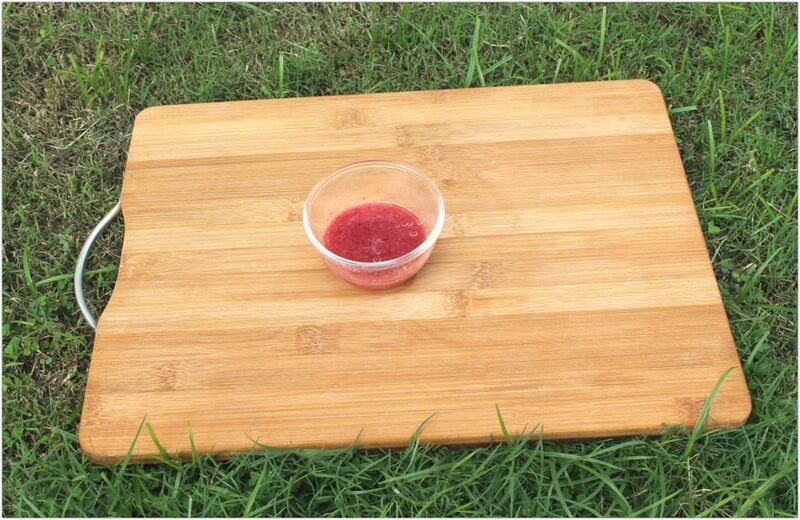 So let’s get started with this diy. 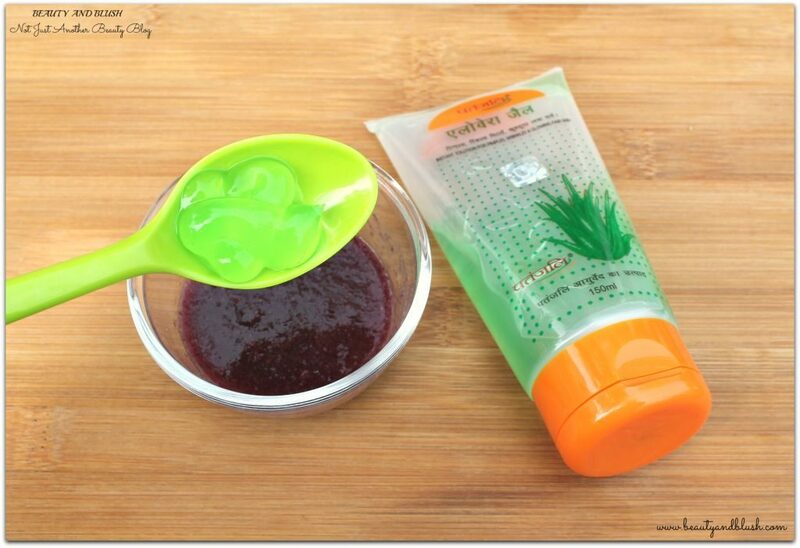 2 Tbsp of Aloe Vera Gel. 2 Tbsp of Fresh Hibiscus Petal Paste. 2 Vitamin C Tablets(powdered). Around 1 Tsp. 2 Vitamin E Oil Capsules or 1/2 Tsp of Vitamin E Oil. 1 Dark Glass Bottle with a dropper. 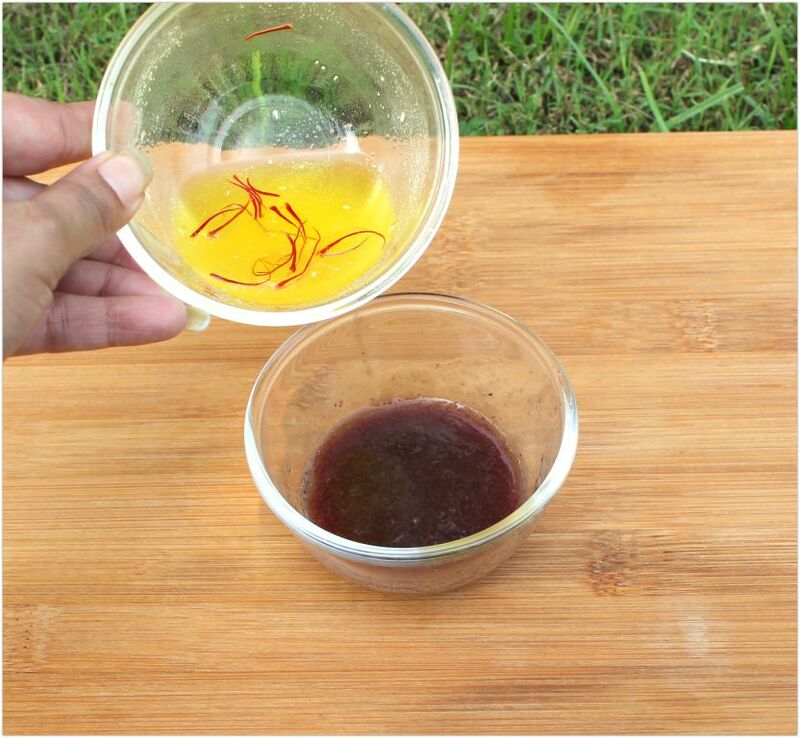 Take a blender and make a paste of the hibiscus petals. 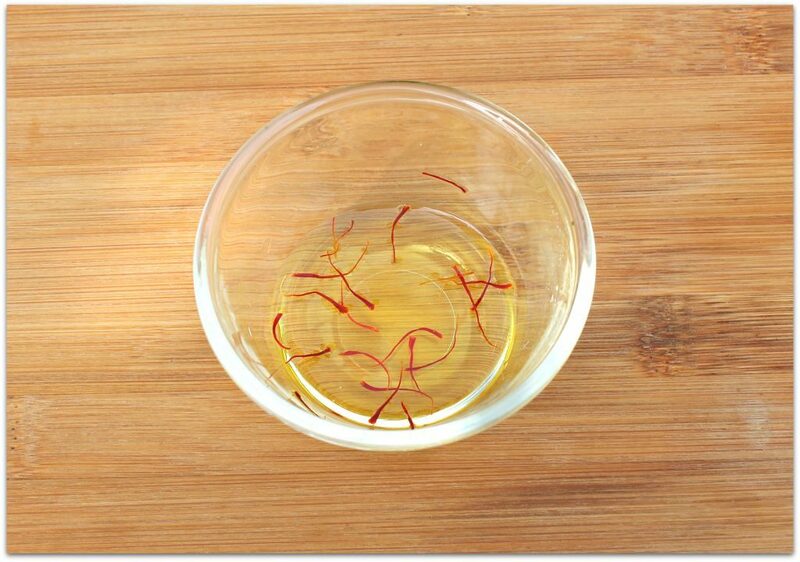 Take 2 tbsp of rose water in a bowl and add a few strands of saffron to it and keep aside for a few minutes so that the saffron infuses properly in the rose water. Take 2 Vitamin C tablets and grind it to a fine powder. Now add the powered Vitamin C and the Vitamin E oil to the rose water and saffron mix. 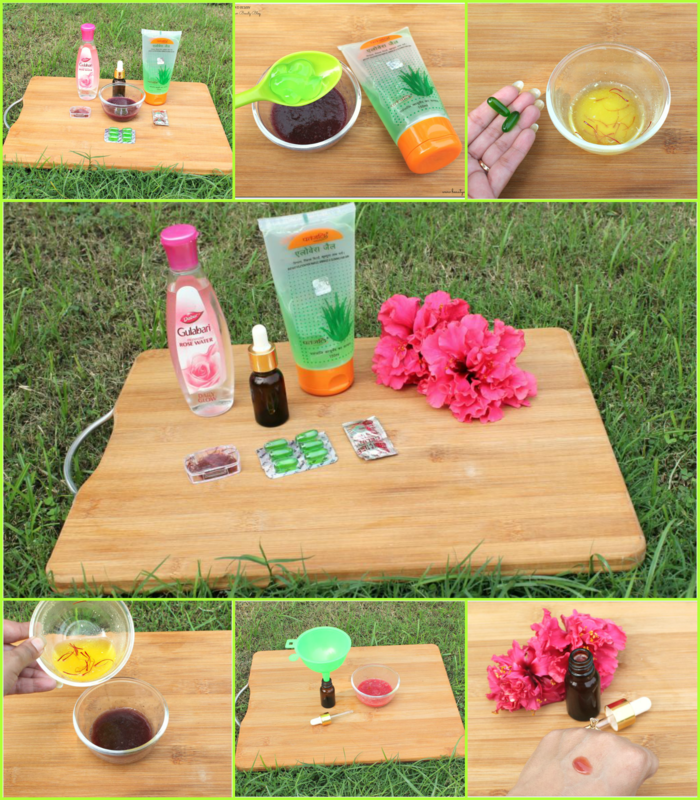 Add the aloe vera gel to the hibiscus petals paste. Next add in the rose water mixture to the petal paste. Mix everything together to get a homogeneous serum like consistency. Now transfer the contents to a dark bottle and store the bottle in the refrigerator for upto a month. It is important to store the serum in a dark bottle and also to store it in the refrigerator because Vitamin C breaks down easily when it comes in contact with direct sunlight. So be cautious and store it according to the instructions. All of you must have heard about Hibiscus flower and how effective it is for our hair but you will be surprised to know how beneficial it is for our skin. 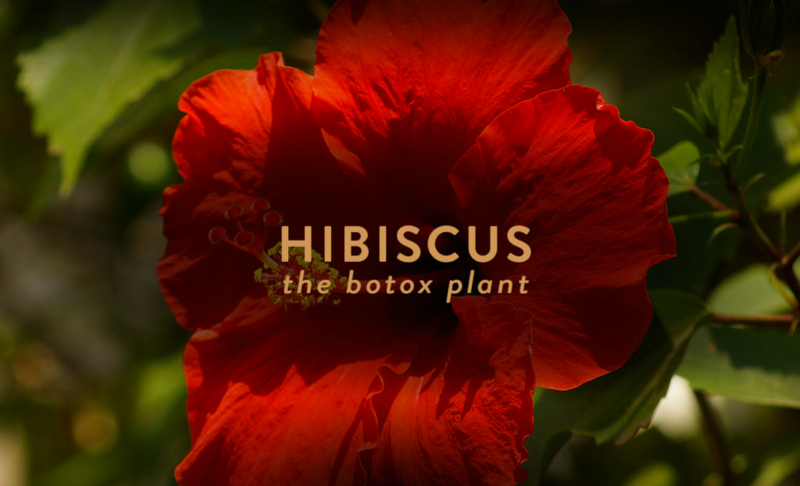 Yes, hibiscus is often referred to as “Botox Plant”. It is rich in Alpha Hydroxy Acids which gently exfoliates the skin while also encouraging the replacement of dead and dull skin cells with new ones. Hibiscus contains organic Malic acid and Citirc acid which are great for resurfacing and exfoliating your skin. Hibiscus flower also assists in the treatment of pigmentation and uneven skin tone, as well as helps with the clarity of the skin. Hibiscus has an incredible ability to lift up and firm the skin by increasing the elasticity of the skin to give it a natural skin boost. 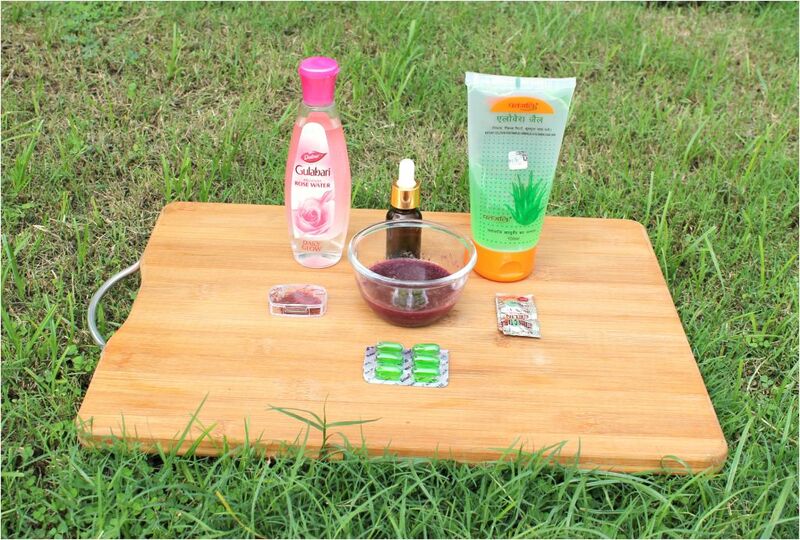 Hibiscus has astringent properties which is very helpful in treating skin conditions like eczema. Hibiscus contains a type of antioxidant called anthocyanocides which are proven to fight off skin damaging free radicals, including ultra violet rays. Hibiscus contains naturally occurring acids which help to purify your skin by breaking down dead skin and increasing cell turnover, they can even help out to control acne breakouts. 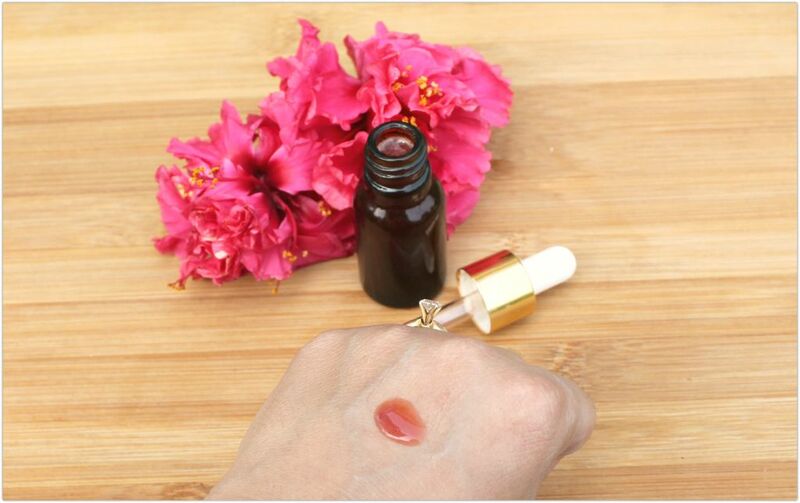 Vitamin C and Hibiscus flower are the main ingredients of this serum, you can add and subtract other ingredients according to your skin type and preference. 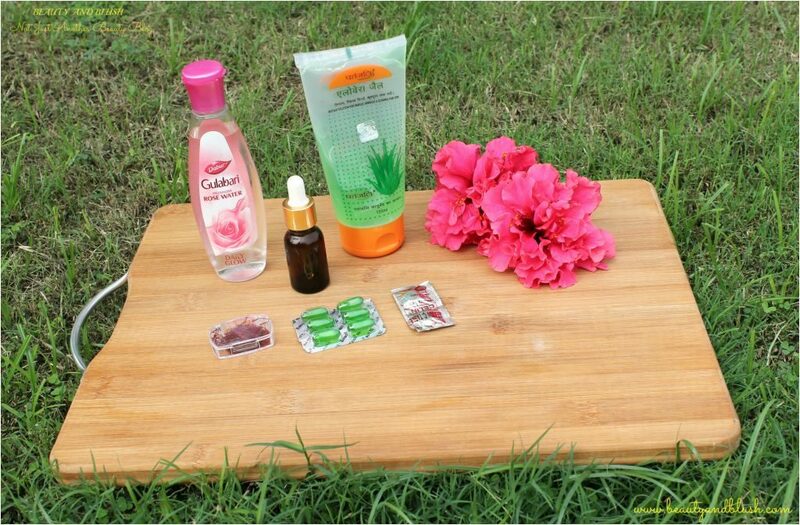 I have added these ingredients because I feel they are the best suited ones for my dry skin, you can add ingredients according to your skin type but remember not to replace Vitamin C and Hibiscus flowers. Aloe Vera Gel hydrates the skin. The antioxidants present in Aloe vera gel include Vitamin E and C and beta carotene which fight free radicals and delay the aging process. Rose Water has anti-inflammatory properties that can help reduce redness due to irritated skin. Rose water aids in removing excess oil accumulated in clogged pores of the skin. Saffron benefits skin because it possesses therapeutic properties and the potassium in it helps with cell production and repair. 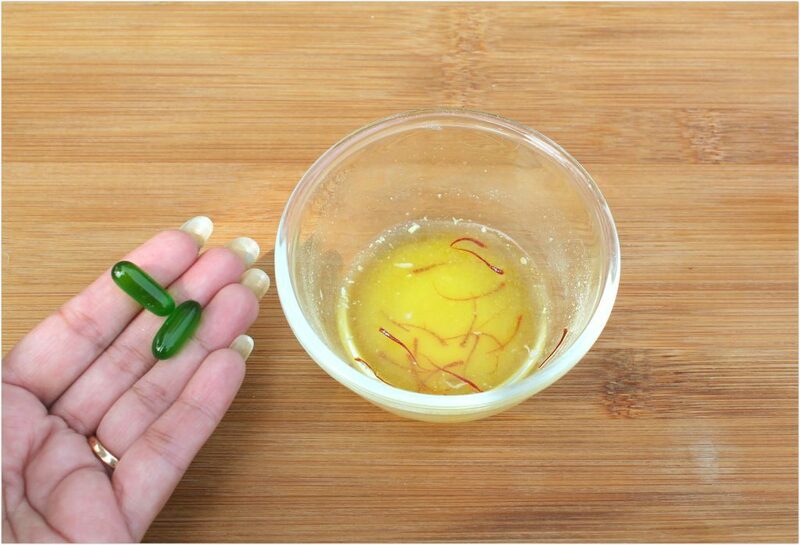 Saffron contains vitamins and antioxidants that are beneficial for the skin. Vitamin E oil works to block free radicals from the body, which plays a large part in the aging process. By using Vitamin E oil in our skin care we can fight off free radicals that helps to reduce wrinkles and fine lines and thus keeps the skin youthful. Your skin is going to love this serum. 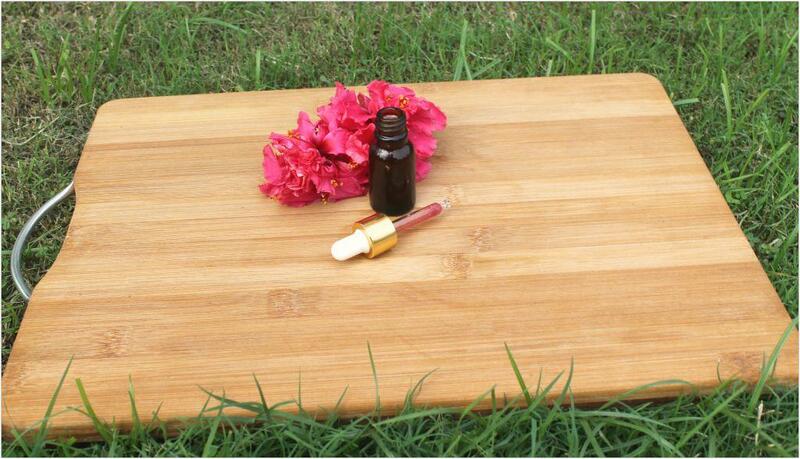 This serum is very hydrating for the skin as it contains hibiscus flower and aloe vera. 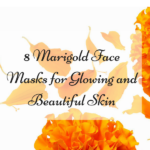 Use it after cleansing and toning your face every day, in the morning and also at night. You will see the positive effect of this serum on your face within a week or so. Do try it out and share your experiences with me.